If you want to work in a civil service job, chances are you’ll be asked to take a Civil Service Exam. Certain job classifications use the exam to test a candidate’s skills for specific positions. The test is utilized at every level of government — local, state, federal — so the exam structure will differ from jurisdiction to jurisdiction. It’s an important test that requires preparation and an excellent study tool to help candidates prepare. Here’s a look at civil service tests. Civil service employees work for a government department or agency in the public sector. Civil service does not include the military, judicial branches and elected officials. What jobs are likely to require a civil service exam? Law enforcement, including the Federal Bureau of Investigation and the Secret Service; United States Postal Office mail handlers; the Internal Revenue Service; certain secretarial and clerical jobs; fire departments; bureau of motor vehicles; and health and human resources are all examples of civil service jobs. How long do civil service tests take? It depends on the test but expect the exam to last at least several hours. What’s on a civil service test? The United States Post Office exam focuses, in part, on address-related issues, such as whether a candidate can determine if two addresses are identical. Candidates are tested on address checking, forms completion, coding, memory and inventory of personal experience and characteristics. Clerical exams focus on grammar, vocabulary, spelling, word relationships and reading. You’ll likely see problem-solving questions that include addition, subtraction, multiplication and division. You may be presented with a group of words and asked which one is spelled correctly. You’ll also likely find questions that will ask you to identify sentences that contain proper grammar. In short, each test measures an applicant’s strengths based on the job they’re applying for. 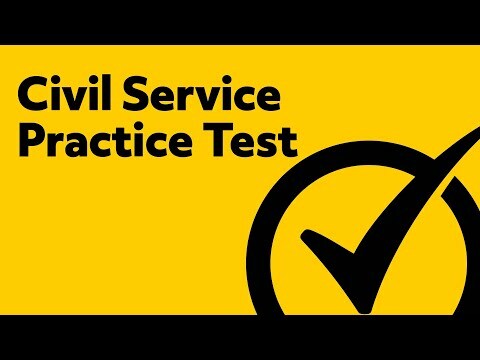 When can I take a civil service test? Some exams are available on a continual basis, while others have specific test dates. Where will I take a civil service test? Some jurisdictions will allow candidates to take the test online. Others require candidates to take the test in person. If I do well on the test, does that guarantee I’ll get the job? No. The test can be just one part of the application process. Some jobs may also have training, experience, educational or other requirements. Firefighters, for example, may have to meet minimum requirements for the amount of weight they can lift. Police officers may have to meet certain minimum physical fitness requirements. It’s always best to check with your local jurisdiction for the specifics. That varies as well. Candidates who take the clerical Civil Service exam, for example, must score at least 33 on the verbal abilities test portion, and a combined minimum score on the clerical and verbal portions of 80. Is there a fee to take the Civil Service Exam? Yes, and that fee is set by each jurisdiction. Fees could include a test fee and/or a filing fee. I’m a veteran. What programs are available to me? Veterans can receive preference points and may be eligible for the Veteran’s Recruitment Appointment Rule. Veterans who meet certain criteria can have an additional five or 10 points added to their final Civil Service Exam passing score. Under the Veteran’s Recruitment Appointment Rule, veterans can be appointed to white collar posts without competing with other applicants. There’s a lot to unpack. What’s the best study tool I can get? You’re right. There’s a lot of information for anyone who wants to be a civil servant to consider. That’s why Mometrix has created study tools to help you prepare for this important exam. 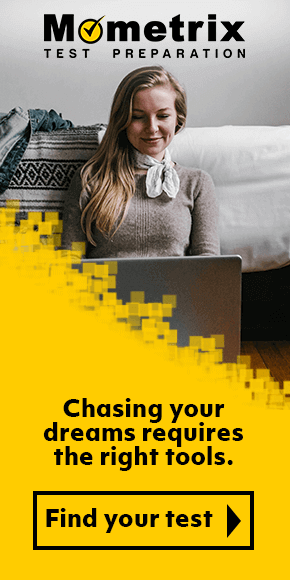 Remember, this is your career we’re taking about, and you need the best. Our Civil Service Exam study guide walks you through the questions you’ll likely see on the exam, and offers test taking tips. The best way not to get overwhelmed is to get these study materials. Mometrix Academy is a completely free Civil Service Exam test resource provided by Mometrix Test Preparation. 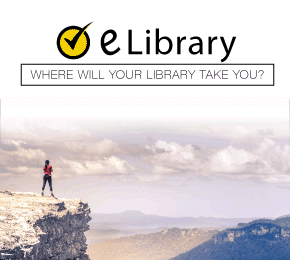 If you find benefit from our efforts here, check out our premium quality Civil Service Exam Study Guide and Civil Service Exam Flash Cards to take your studying to the next level. 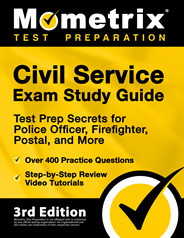 Just click the Civil Service Exam study guide link below. Your purchase also helps us make even more great, free test content for test-takers.